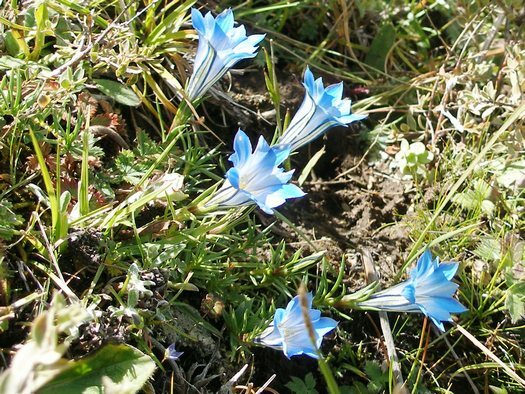 Look carefully on the mountains around Lhasa and you'll find some marvellous Tibetan flowers in that mostly rocky landscape. Their beauty is only enhanced by the rugged surroundings. As I write this, I'm thinking of my good friend Alice Laarman. Alice was an English teacher at Tibet University in Lhasa for nine years but had to leave her work with Tibetan students a few years ago when she was diagnosed with cancer. 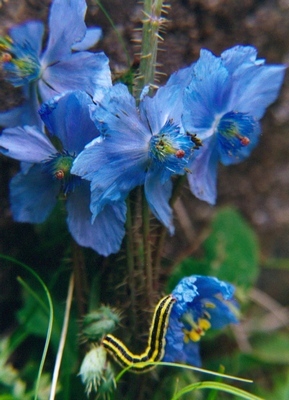 This is one of her photographs of a Tibetan blue poppy (with a little critter). Alice was known for her love of her students and for her love of the natural beauty of Tibet. She was an avid photographer and several of the Tibet photographs featured on my webpages were taken by her. 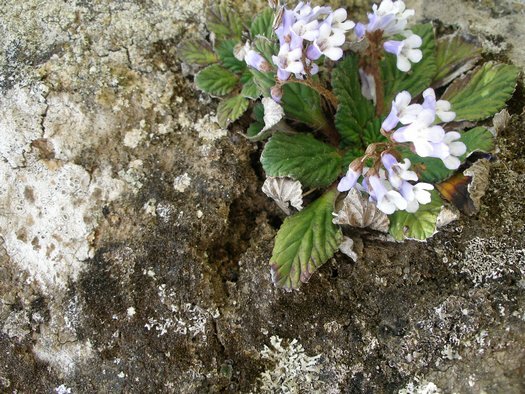 Alice died last week, and to honour her I'm putting up this webpage of her pictures of wildflowers in the land she loved. 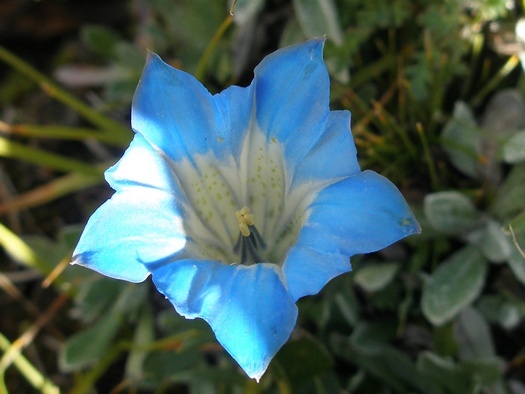 I don't know the names of most of these Tibetan flowers, but Alice labeled some of photographs and I assume that she knew what she was talking about. 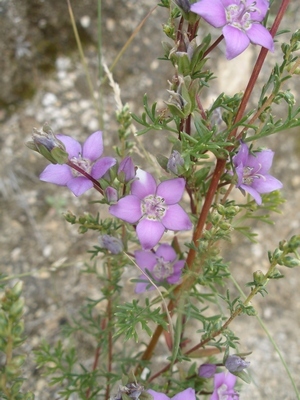 She identified the wildflower at the left and in the next two photographs as the "gentian". 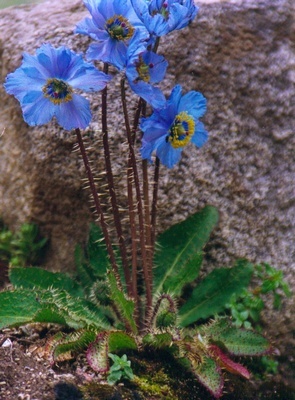 All of these public domain flower photos were taken by Alice in Tibet, and she had an eye for colour. 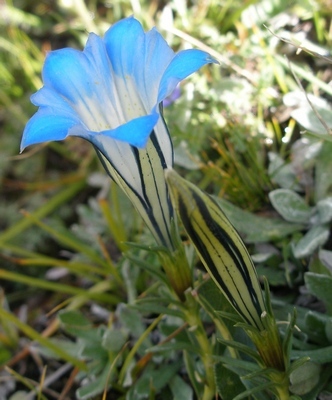 In her flower pictures you can see the variety of colours that beautify the mountains around Lhasa. When Alice went for her cancer treatments, she always word purple to designate herself as a child of the King. 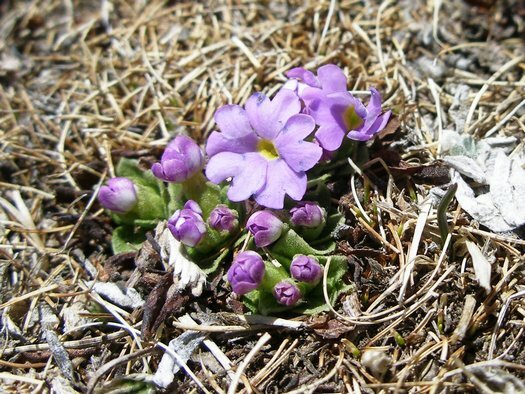 The flowers below are Tibetan edelweiss, as in the Sound of Music. 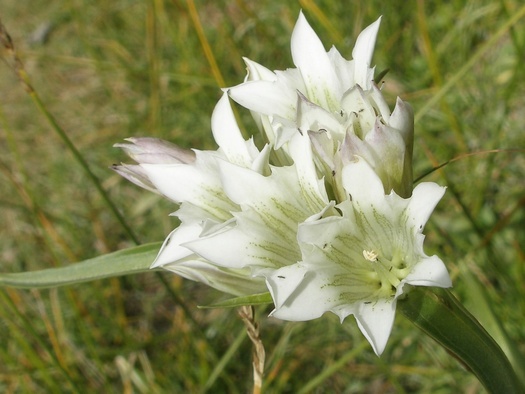 Mountains and edelweiss go together, so it all fits, eh? 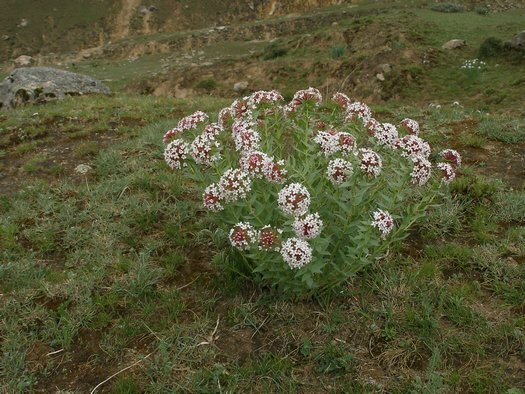 Click here or on the photo below to continue to page 2 of Alice Laarman's photos of Tibetan flowers to see more photos of edelweiss flowers in Tibet. 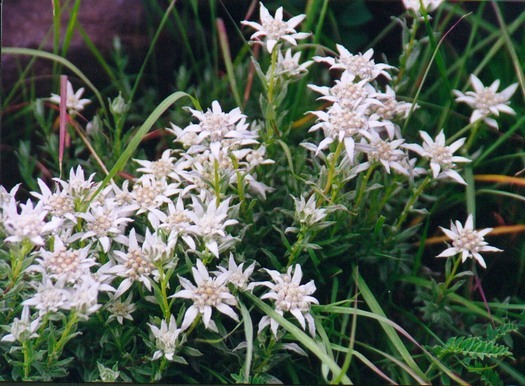 Click here to see more photos of flowers in Tibet, including edelweiss.